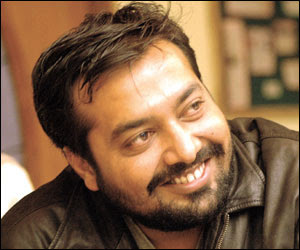 Anurag Kashyap, Indian film director ("Black Friday", "No Smoking", "Dev D", "Gulaal"), script writer ("Satya", "Water") and producer ("Aamir") of highly acclaimed films, opens the doors to his universe in this exclusive interview. He provides a rare insight into the elements that make the life of a film maker, whether these are satisfaction, bitterness or success. Read on as he gives Cinema Hindi his insightful opinion on Indian and Italian cinema within the framework of his upcoming participation as member of the jury at the Venice Film Festival. Cinema Hindi is honoured to offer its readers a close-up on one of India's most notorious modern film personalities. C.H. - The script for the Hindi masterpiece “Satya” was co-written by you. What are your feelings for that film today? A.K. - I still feel that was the best work WE did. It wasn't my film alone. I always say “Satya” was my film school. There was a lot of searching in that movie, which I believe we gradually lost. C.H. - You directed “Black Friday” and produced the film “Aamir”. Both films are on the subject of terrorism. Do you believe cinema may awaken the public opinion - particularly in India - to this issue? A.K. - I don't know whether it awakens the people or not. It does affect some. I hope we can affect the public conscience, sadly nothing does. People are selfish, in the sense that they are all trying to survive, they always treat such things as it does not happen to us. The job of cinema sometimes, when it is socially and politically conscious is to just hold the mirror and show us what's happening around us. We can't do more than that. Except “Black Friday” and “Aamir” all the films I have made have largely been personal. C.H. – “No Smoking” is probably the most experimental Hindi movie ever made. Something in it seems reminiscent of Fellini's way of depicting grotesque situations or characters. What experience did “No Smoking” represent for you as an unconventional film-maker? A.K. - I enjoyed making "No Smoking". It premiered at the Rome film Festival in 2007. It was my most personal film, I cherish it more than most. More than all my films. It was my story in the sense it was about my battle with authorities with the morality and the censors. Indians could not read into it and that was disappointing. Over a period of time it has found its place in film schools and with film buffs but main stream industry still has not accepted it. I enjoyed making it but sadly what it did was that its failure at the box office led to a lot of film makers not being allowed to do their own thing. Any original voice was curbed owing to No Smoking's failure. C.H. - What made you cast John Abraham as the lead actor? Is it true that you asked superstar Shah Rukh Khan to play the main role before deciding to cast John Abraham? A.K. - John was the only choice who wanted to do it and understood the film. Shah Rukh Khan showed interest but wasn't sure it was worth it. C.H. - The soundtrack of “No Smoking” is definitely one of the very best the audience has heard in recent times. Tell us a bit about the experience of working with composer Vishal Bhardwaj. Did the fact that he is also a film director facilitate your collaboration? A.K. - Vishal was not just the composer of the film, he was also one of the producers. He made the film possible. Vishal was also the composer of “Satya” and my first film as the director, “Paanch”. My relationship with him has always been that of a master and the irritant disciple. Me being the latter. I try to push him and he pretends being irritated but loves being pushed. He has shown more faith in me than most. It is always very satisfying to work with him because he always brings out a new sound to his music for my films. C.H. - "Dev D" is an enchanting film with an extraordinarily fresh script. We are aware that it was based on a concept put forward by Abhay Deol. What motivated you to work on that particular project? A.K. - My identification with the subject inspired me. I was going through my own separation and divorce at the time and I was depressed and was drinking, abusing substance at the time I wrote it, and I also found love in the actress who played Chanda (Kalki) during the filming. All my various contradictory emotions flowed into the film. C.H. - The development of the different characters in "Dev D" reflects intense dedication. Weren't you afraid of being too daring? A.K. - It all just happened naturally. I didn't know I was meant to fear anything. May be my naiveté, may be the innocence. I just did what I felt and was feeling. It just came through. C.H. - Many of us have not yet seen “Gulaal”. Would you please introduce the film to us? A.K. - I wrote “Gulaal” when I was at my angriest in 2001. When all my films were banned and "Water" was shelved and I had this huge issue with the way our government dealt with freedom of expression and the political state of the country. I went away from Bombay, to Rajasthan and on my walkman was only one CD, of “Pyaasa”. It kept playing in the loop. “Gulaal” emerged out of that. It is a take on what India has come to vis-à-vis how a free India was imagined by the poets, of the pre independence. C.H. - You have expressed your interest for Italian Cinema in the past. Please tell us which aspects have touched you the most. A.K. - De Sica. Vittorio De Sica made me a film maker. It was a retrospective of his films in 1993 that inspired me to be a filmmaker. I was 20 then, by 23 I wrote my first film "Satya". What touched me the most was the realism of it all then. How Italians were so similar to us in the way they deal with life and family et al. Later I discovered Fellini, and that was ecstasy. That showed me that there are no boundaries to imagination and no curb on what you want to say. It doesn't matter if what I say is embarrassing, juvenile, unintelligent or incoherent as long as it is my voice and it comes across. Then slowly I discovered Antonioni, Rossellini, Rosi and lot more. The discovery continues with “Il Divo”, “Gommorrah” , "The Best of Youth" et al. C.H. - What is your opinion on contemporary Italian Cinema? A.K. - I love Sorrentino. I love his films. He is the best and most powerful new Italian voice. I also loved Michel Placido's “Romanzo Criminale” I saw it at Tribeca. His daughter acted in the film that was written by the director of “Aamir”(*). “Best of Youth”, “The Past is a Foreign Land”, “My Brother is the Only Child”, “Days and Clouds” are some of the recent films I liked very much. I even enjoy the “Giallo” (**) from the 60's 70's. C.H. - What would you say Italian and Hindi Cinema have in common? A.K. - Family bonds. And the way the women are in the films. C.H. - Your film "No Smoking" was screened at the Rome Film Festival two years ago, generating rave reviews. What are your memories of that experience? A.K. - I loved every bit of it. My memories of Rome of "No Smoking" are the only good memories of that film. My daughter was with me during that time and I loved showing her around. It was a memorable week and the great audience reception that I will never forget. C.H. - You have been called upon to be a member of the jury at the next Venice Film Festival. Two of your films – “Dev D” and “Gulaal” - will also be screened off-competition. How are you feeling about the opportunity to participate so actively in the festival? A.K. - I am as excited as a child, and sometimes I find myself trying to curb my enthusiasm. Biggest fear is that everyone will find out that deep down I am a child, who is more a film buff than a filmmaker. "Dev D" is an indirect tribute to Fatih Akin, whose film is in the festival, which I will get to see before anyone in the world. Jacques Rivette, Tornatore so many filmmakers who have at various points in my life inspired me are going to be there with their new films. I will be like a kid in the candy shop. I am happy and proud. C.H. - Please, give us your opinion on why the Italian audience should watch Hindi movies. Are there any particular films you would suggest to the Italian audience as a maiden Hindi film experience? A.K. - Italian audience should watch Indian films because they will relate to them. They should discover Bimal Roy and Guru Dutt. C.H. - Do you believe there is a possibility of developing a serious partnership between India and Italy in terms of film making? Have you ever given thought to shooting in Italy or with a partially Italian cast or film crew? A.K. - Absolutely and I believe it is happening. Sonali Kulkarni has acted in Italian films. An Italian filmmaker is currently making a film in India based on an Indian short story and our Grand Master Mani Kaul is planning a film on Rossellini. There should and will be more collaborations. A.K. - Somewhere it started with “Bandit Queen”(*). But it was slow. In last three years it has become a wave with a lot of new filmmakers, who are essentially outsiders to this family business, and have started making films. A.K. - That depends on how much courage we have to take the risks we should be taking. It seems to be heading towards an era of reinvention and introspection and a lot of new voices are emerging out of that, but we still lack the production and distribution backup to this new cinema from India. A.K. - Hopefully we will surpass stardom. You will get to see more of India and Indian struggles and way of life and politics in the new Indian cinema. Hopefully even the escapist cinema that we make will also have a relevance. We definitely won't leave behind our traditional song and dance and celebrations, but all else will be more meaningful and relevant. It is starting to get less fantastical and more real. And hopefully I will get to do what I want to do. A.K. - There is Vishal Bharadwaj, Aamir Khan, Raju (Rajkumar) Hirani, Rakeysh Mehra, Dibakar Bannerji, Nishikant Kamat, Navdeep Singh, Shimit Amin, Shriram Raghavan and many more. C.H. - Do you think it is possible that Hindi Cinema will be taking the world by storm in the future, marking a New Era in which Indian Cinema dominates, therefore replacing Hollywood? A.K. - Yes I have always had that belief based on the fact that while the world has exhausted their subjects and stories to tell. We are yet to explore ourselves. C.H. - Please, tell us something about your work with the great director Ram Gopal Varma. A.K. - I wrote three films for him, “Satya”, “Kaun” and “Shool”. He was the man who inspired the whole generation of us who are making films today. I learnt what I had to while working on “Satya”. C.H. - Two very talented actors, Kay Kay Menon and Abhay Deol, have starred in your films. Please, tell us about your experience working with them. A.K. - These are the two Star actors I have worked with. While Kay Kay chooses the most challenging roles, Abhay chooses the most challenging films. There are many more great non star actors I have regularly worked with like Aditya Srivastava, Vijay Maurya, Deepak Dobriyal, Mahie Gill (who you will see in both “Dev D” and “Gulaal”) and Kalki Koechlin. C.H. – “Delhi-6”, directed by Rakeysh Omprakash Mehra, will be the third Hindi film screened at the Festival. What is your opinion on Mehra's work? Some of your followers have found similarities between elements of “Aks” and “No Smoking”. Would you say that “Aks” influenced you as a film maker? A.K. - I wouldn't say “Aks” influenced me as a film maker, because at the beginning of it, even I was involved with it. But I have a very high opinion of Rakeysh Mehra both as a film maker and as a social, intellectual person. I have very high regards for his films and especially "Delhi-6", which is my favourite Rakeysh Mehra film. C.H. - Aamir Khan is considered an unconventional actor in spite of being a huge Hindi film superstar. Would he be someone you would look forward to working with and why? A.K. - I want to work with Aamir Khan and hopefully I will in “Bombay Velvet”. He is a courageous man who has truly changed the way our audience looks at our cinema, just by being part of such films and backing them all the way. C.H. - Do you often watch “Indian non-Hindi” films? If so, which of these films and/or directors would you recommend? A.K. - Yes I do when I know of them. I saw "Subrarmanyapuram", a great Tamil film recently and a lot of new Marathi cinema, that in recent times has seen a great resurgence. C.H. - Do you believe that 'Indian non-Hindi' cinema is capable of generating the same impact on Western audiences than Hindi films have? A.K. - Yes. Provided it gets the same platform. Sometimes I believe the regional cinema in India has more potency and courage than Hindi cinema. Cinema Hindi wishes to convey our gratitude to Mr. Kashyap for his generosity in granting us this exclusive interview. (A special thanks to Aline Khan for pushing the team forward to request the interview and for her assistance in English). Kashyap forgot to mention that Mani Ratnam has been making meaningful cinema from the very beginning. Ratnam's work speaks for itself. He is a low key guy who does not blow his own horn unlike these new filmmakers. Good to see you have high regards towards Varma..!! I thought you guys have ego war. Mani Ratnam has indeed made meaningful films with successful incursions into Hindi cinema. Thanks for mentioning him. Mr. Kashyap probably chose to mention several Hindi film makers that he believes form part of the current "new wave" of Hindi cinema, hence mostly having few films to their account as directors. We thank him for recommending the film makers he believes are currently making a difference. Thank you on behalf of Cinema Hindi, Qalandar. Your site is a very interesting read too.